Delaware is reading Ender’s Game! To Kill a Mockingbird. Fahrenheit 451. Rocket Boys. The Great Gatsby. What do these great books have in common? They have all been chosen for Delaware County District Library’s “DelawaREADS, ” a community-wide reading program. And, we’re doing it again. This year’s DelawaREADS book is Ender’s Game by Orson Scott Card, a brilliantly written story about an expert at simulated war games, Andrew “Ender” Wiggin, who believes that he is engaged in one more computer war game when, in truth, he is commanding the last Earth fleet against an alien race seeking Earth’s complete destruction. Even though I am not a science fiction reader, I thoroughly enjoyed this book, with its underlying themes of good vs. evil and well-developed characters. It was written in 1985, but its message is still relevant and its truths still universal. There are dozens of copies of the book available at the Library for you and your teenage children to check out, read, and join in the conversations. An exciting twist to this year’s DelawaREADs program—the Library is partnering with the Delaware City schools. Representatives from both organizations have been busy developing engaging and entertaining programs for readers of all ages. 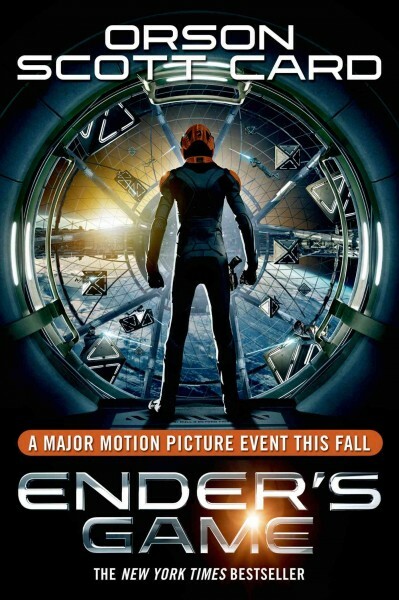 DelawaREADS launched at the schools last week, followed by the launch at the Library, but there are still many programs scheduled to enhance your experience in reading Ender’s Game. galore, in a relaxed atmosphere. Dinner and drinks are on your own and we’ll supply the fun. Pick up the cleverly designed promotional brochure at the Library for more details, or log on to the Library’s web site. Let the staff pick your next book! The next time you’re in the Delaware County District Library, and you’re looking for a good book to read, take some time to check out the books on the “Staff Picks!” display. It’s no secret that Library staff are great readers, and our tastes run the gamut from science fiction to romance to western to thrillers, and everything in between. The only thing we like more than reading is sharing the books we enjoy with all of you. The “Staff Picks!” display is filled with these great books, and the titles change every day as they get checked out by you and refilled by us. Each time we add a title to the display, we add a slip with our name on it to let you know who is recommending the book. Of course, we’re more than happy to tell you why we picked the book for the display, and we’re equally happy to discuss the book with you after you’ve read it. 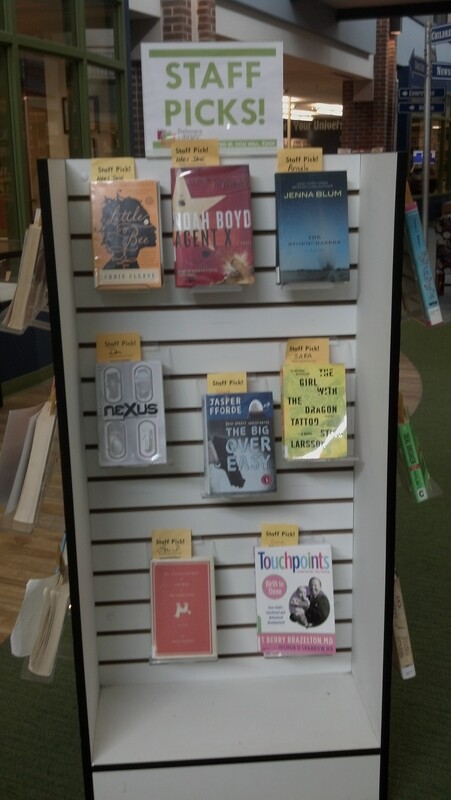 Check out the “Staff Picks!” display on your next visit to the Library to see what we’ve been reading. And you might find some “Staff Picks!” near the DVD’s too, because we also enjoy watching and recommending a great movie!